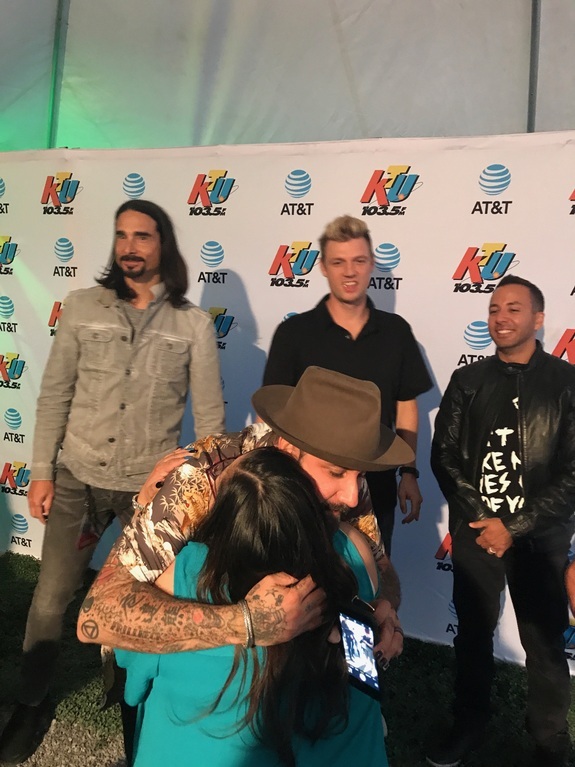 You are here: News / Watch a Die-Hard Fan Meet the Backstreet Boys After Epic, Tearjerker Surprise From Her Sister! 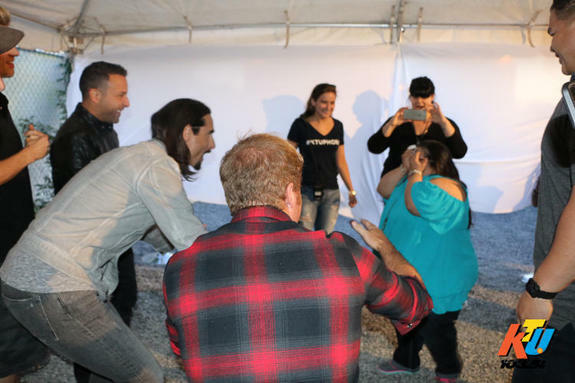 Watch a Die-Hard Fan Meet the Backstreet Boys After Epic, Tearjerker Surprise From Her Sister! And the sister of the year award goes to… Yvette Hernandez! 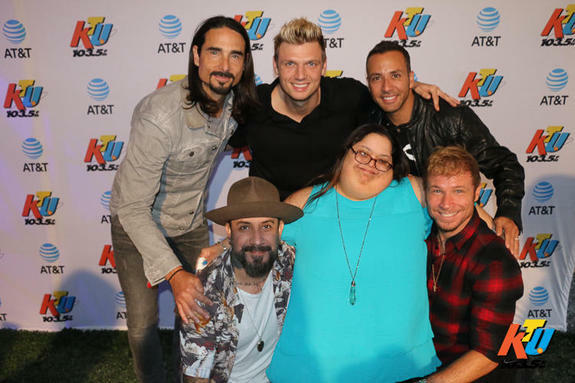 In May, Yvette surprised her 34-year-old sister Jessie, who has Down Syndrome, with tickets to see the Backstreet Boys at their recent KTUphoria gig at Jones Beach Theatre in New York. Asking Jessie to read the words “You are going to see the Backstreet Boys,” one-by-one off cards she was holding up, Yvette’s epic gesture caused her sister to fall to the floor and sob uncontrollably as the exciting news sunk in. Jessie has been living with Yvette since their mother died of lung cancer two years ago. Yvette’s daughter insisted that she film the moment that she surprised Jessie with the concert tickets, and encouraged her to post the emotional video online. However, there was no need for DeGeneres to intervene after the Backstreet army got to work sharing the post all over social media in the hope that the GRAMMY nominated band would see it. And see it, they did! The big moment went down earlier this month in New York and as our video shows, the group were thrilled to meet such a die-hard fan. “Want a photo? Come on in!” said Nick Carter. “That was a great video,” agreed Howie Dorough, giving Yvette a big thumbs-up then asking Jessie for a hug. As for Jessie, she’s still buzzing from the dream encounter with the band, who are preparing to wrap up another run of their Larger Than Life residency at Planet Hollywood in Las Vegas this week, before taking a break from Sin City until November. Watch Jessie’s big moment go down below!